Dallas Texas area, and much farther afield as we will see. This one is at 210 Bedford Road W., Hurst, Texas. Taken Oct. 1997 by Bryan Sherrieb. in North Richland Hills, Texas. Photo taken July 4, 2004 by John Cirillo. 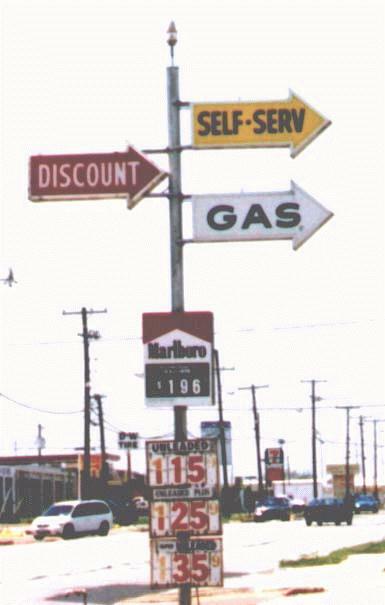 A Self-Serv Discount in Dilley, Texas. Taken Oct. 2004 by David Aldred. Another Self-Serv Discount showing the Pioneer name this time. 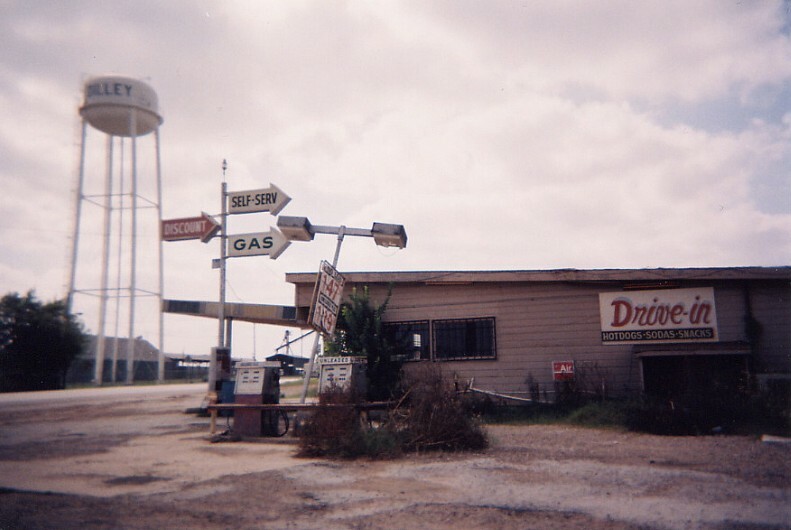 Taken Nov. 2004 by David Aldred at DeLeon, Texas. 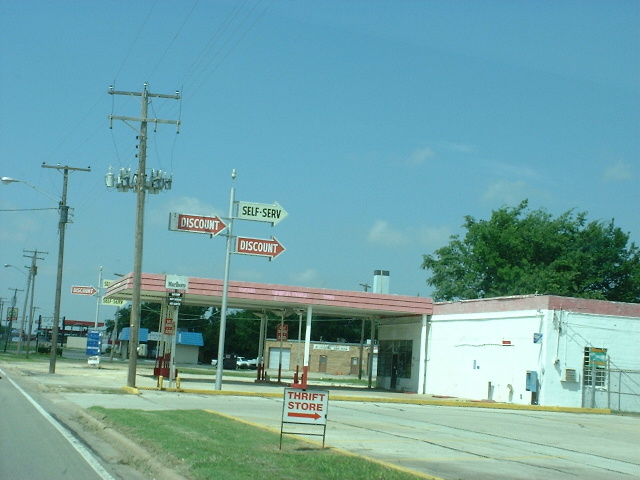 A Self-Serv Discount station in Comanche, TX. Taken Nov. 2003 by David Aldred. 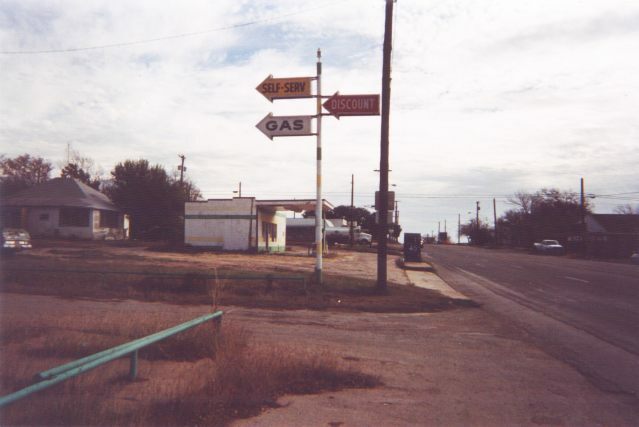 (7th is Route 66 along here). Photo taken July 5, 2003 by John Cirillo. which might be based out of Fort Worth, TX (I'm not 100% on this). such as pumps and the like. 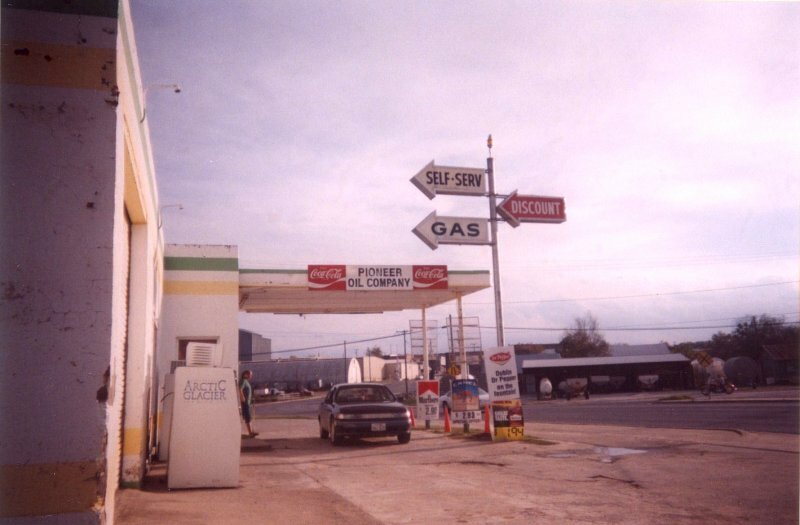 the building with this logo and the caption "Hey Podner...That's our Brand"
"...Came across your website and saw that you had information about Self Serve Discount Gas. We now own the building that housed the corporate offices of Pioneer Oil Company. about 1997 or 1998. 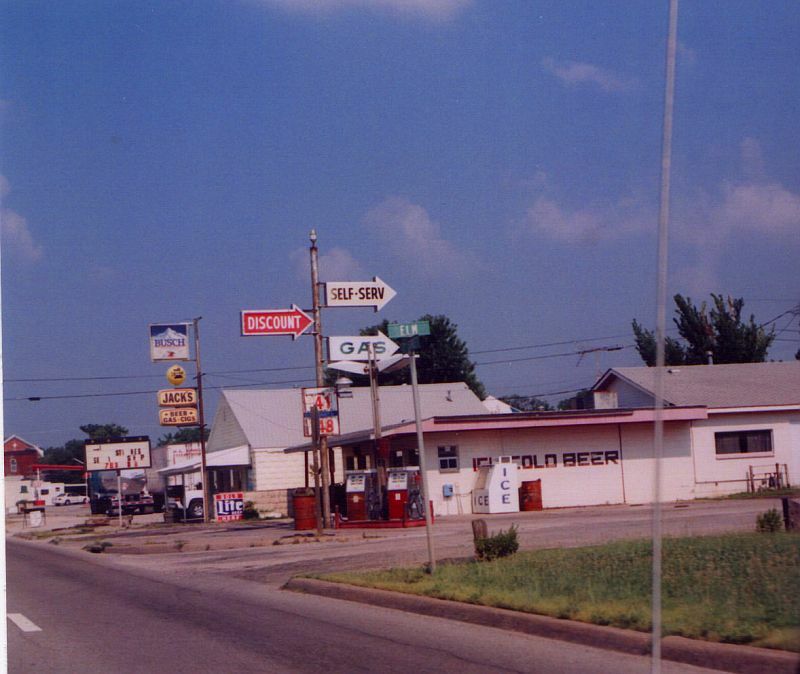 They were the first self serve stations in this part of the country."